The COMEDY MARCH 2017 FEEDBACK Film Festival gave our audiences simply the best of short comedy movies from around the world. The theme of the festival was “DECEPTION”. Every film showcased was about a situation that had someone else deceiving another person for their own gain. NOTE: Our 4th and best comedy festival! Of all the festivals we do, the most rejections come from the comedy genre submissions. A lot of films made simply do not work in this genre for various reasons. Actor David Garrick is first credited with the quote: “Comedy is a serious business.” You don’t execute a comedy by simply being goofy on set. It’s actually quite the opposite. After doing over 100 festivals to date and watching over 7000 short films in the last 10 years, I can honesty say that executing a comedy is the most difficult task to do over any other genre. You need to make the audience laugh, while also giving us a plot where we need to know what happens next. Most importantly, comedies are almost always about character. 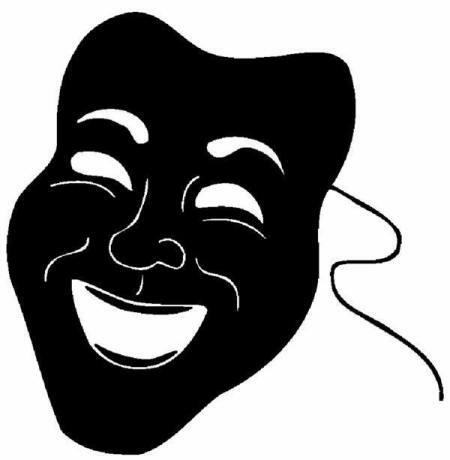 If you do not have characters that the audiences aren’t interested in, then they won’t laugh. If they don’t laugh, then they won’t care about the film. Programming a comedy festival lineup is also the most difficult genre to do. You want to balance the emotion with each selection and type of “funny” movie you’re showing. You don’t want to program 6 films for example that are the same type of comedy. So in conclusion…what I’m saying is that the COMEDY Festival is the hardest one to execute out of all our festivals. And it’s also the festival that makes me the most nervous. The programmers hit their mark 95% of the time. Meaning, the films they pick are always a success for the general audience that attends the festival. We’ve programmed 130 short films last year and had 4 films that were not successful. Out of those four films, 3 were comedies. I think we finally got it right with this festival. In fact, I know we got it right. This was an amazing lineup of comedy shorts. Phew! !